Bullying. Why is it treated as a tragedy only when it results in death? Suicide is a permanent solution to a temporary problem. But it seems like that’s what it takes for people to open their eyes to the consequences of bullying. We should stay on top of this issue even when it doesn’t result in suicide. We shouldn’t let it fade away and only come back when someone commits suicide – saying “now it’s a big issue.” Wrong! It’s a big issue when the kid is feeling alone. it’s a big issue when the kid fears coming to school because of bullying and it is a big issue when the thought of suicide crosses a child’s mind. Every year in October, Imagine Englewood If (IEI) participates in “Make a Difference Day.” On “Make a Difference Day,” people from all over the country do something to change others’ lives in a positive way. On Oct. 29 of last year, IEI put together an event for people living in the Englewood community to inform them of the dangers of lead poisoning. “Englewood has the highest percentage of people in the nation who are affected by lead poisoning,” said Jean Carter Hill, Executive Director of IEI. 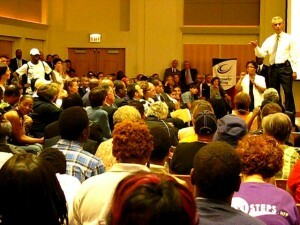 Mayor Rahm Emanuel was jeered and booed by many of the people who arrived early at Kennedy King College on August 30, 2011, in hopes of getting their concerns heard and addressed at the first of two public town hall meeting on the city’s budget. Driving around Englewood, pointing out empty lots on Feb. 18, Che “Rhymefest” Smith talked about how these used to be houses. He said he wants to transform the neighborhood and make it a clean and safe environment for kids to play in. He said the neighborhood has no love and care in it, but he wants to change that. 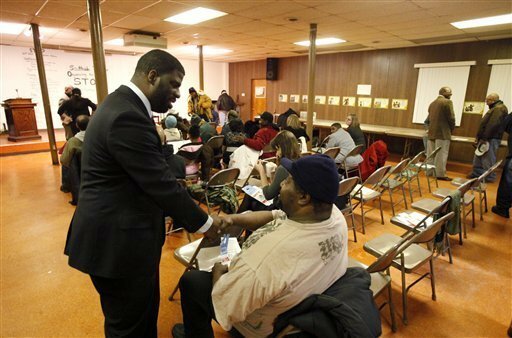 Che 'Rhymefest' Smith on the campaign trail. 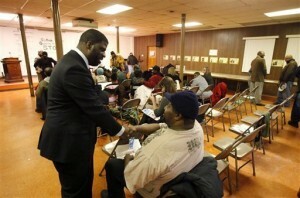 Photo courtesy of Smith's campaign web site. famous people including Ciara, Bow Wow and Rick Ross. But now, he says he wants to focus his attention on serving his community. Mayor Richard M. Daley spoke at the Hope World event held at Sherman Park on July 30, 2010. 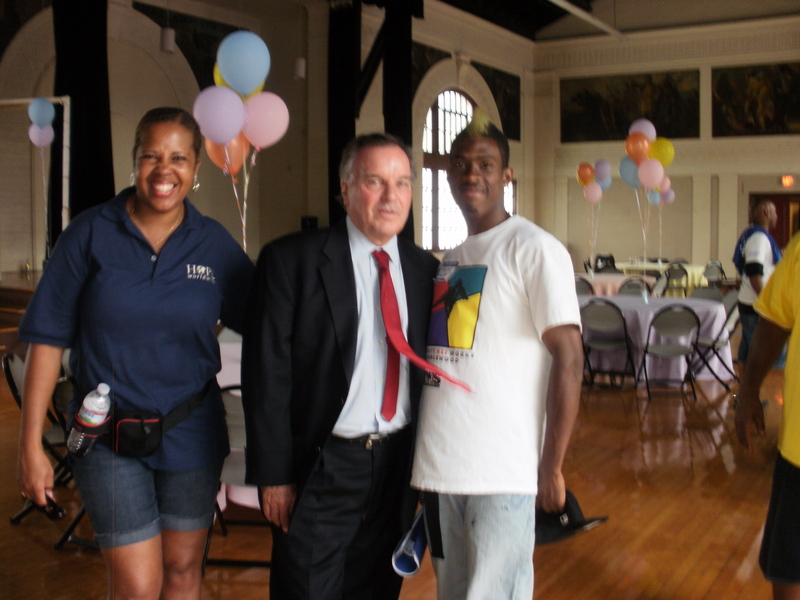 Over 2,000 volunteers across the United States attended this event and talked about their efforts to reduce violence in the schools and communities.